“I have no money, but I’m happy,” is an audio recording created and spoken by Humberto Rodriguez Maya. In just four minutes and 40 seconds, we’re taken through the trials and triumphs in Maya’s life: from owning his own business in Mexico as a teenager, to getting robbed and moving to Poughkeepsie, to surviving cancer and discovering his love for radio broadcasting. Maya’s “untold story” can be found on the Sound and Story App, which aims to act as the voice of the Hudson Valley community. Eileen McAdam’s fascination with audio recording stories told by senior citizens in her town of Stone Ridge led her to develop a regional archive: Sound and Story. The app compiles stories and oral histories submitted by museums, libraries, and our own local residents. The app is available on iTunes, compatible with iPhone and iPad. Once downloaded, by pressing the “Record” button on the bottom of your screen you can easily document and share your own life story—it can even link to Twitter, Facebook, or be sent through e-mail. You can create a playlist or a list of favorites, browse “popular” stories, search stories by key word search, or browse based on “geo” tags on a map of New York. Through Sound and Story, composing, sharing, and learning about our community is made possible within the palm of your hand. Each story or memory contributed documents a small snippet of our large local area. The Sound and Story project is a program of the World Sound Foundation, which strives to “strengthen community through the power of listening” through producing resources like radio programs, audio tours, web presentations, and mobile applications such as Sound and Story. Credible organizations have submitted oral histories to Sound and Story, including Hudson River Maritime Museum, Nyack Library, New Rochelle Public Library, Roosevelt-Vanderbilt National Historic Sites, and Somers Historical Society. But while established historical societies certainly have a lot to add to our area’s overall narrative, Sound and Story is just as eager to hear and share stories from everyday residents. Every story matters. McAdam’s past works include Untold Stories: The Hudson Valley’s New Americans, "Story Scape Hudson Valley" radio series, the Newburgh-Beacon Audio Tour, and the River Voices Audio Tour—which have already captured the attention of thousands of our region’s listeners. In addition to the work of McAdam, the Sound and Story project was made possible by Jim Metzner (producer and chair of World Sound Foundation; awarded a Silver Medal from the United Nations), project manager Shilo Kennedy, and teen media educator Mia Lobel. The program is funded by the Institute of Museum and Library Services, and administered by Southeastern NY Library Resource Council. 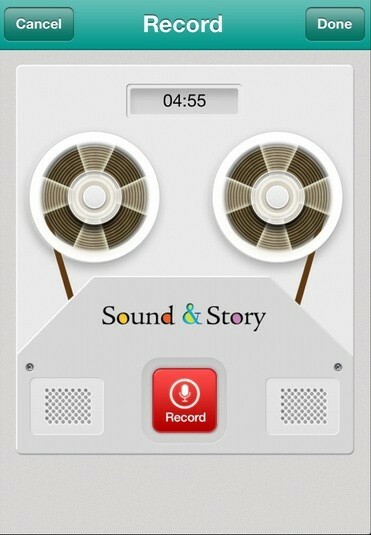 Go to Soundandstory.org to get linked to the app, listen to audio stories via Soundcloud, make donations, and find additional resources. Click here to read our exclusive interview with Eileen McAdam.